Tour dates announced for Europe and UK! HBF ticket presales begin 8 February at 10 a.m. local time! 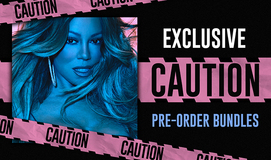 Don't miss Mariah on opening night of the "Mariah Experience" activation in NYC, where she'll sign copies of her new album, Caution! 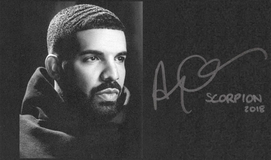 Access preferred tickets for the 2019 North American Tour. Honey B. Fly presales begin on Oct. 23 @ 10am — get full details now! Get details on Mariah's new album pre-order, plus new song, "The Distance," featuring Ty Dolla $ign. 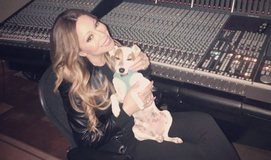 Listen to Mariah's new song, "GTFO," from her forthcoming 15th studio album, coming later this year! 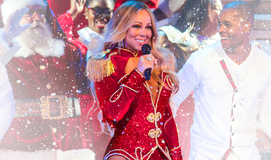 Find out how to get preferred tickets early to see Mariah perform on Valentine's Day weekend this coming February! 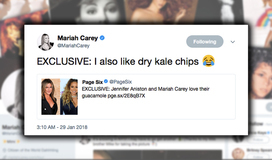 Mariah helped one of her dancers get engaged on stage. Watch the video here! 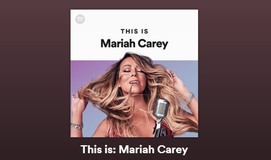 This is: Mariah Carey. The essential tracks, all in one playlist. 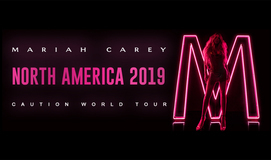 Mariah is touring Asia this fall and tickets are now available! This year’s list of honorees was a strong one — Jackson, Mellencamp, Jermaine Dupri, Bill Anderson, Steve Dorff, Allee Willis were all inducted. 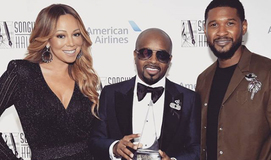 [Surprises were key to keeping the evening lively, including] Mariah Carey, who delivered a sassy and funny speech inducting Dupri. 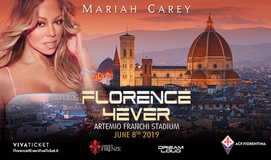 Mariah announces her "The Butterfly Returns" show, her new residency at The Colosseum at Caesars Palace Las Vegas. Performances begin July 15, with select night through September 2018. 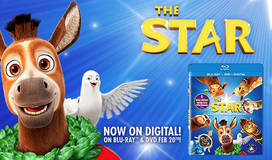 "The Star" Movie Is Available On Digital Now And On Blu-Ray & DVD February 20th! The Elusive Chanteuse didn't need to win an award to win the night. 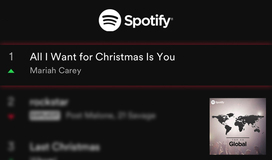 Additionally, ‘All I Want For Christmas Is You’ Breaks Spotify's Single Day Streaming Record with over 8 million streams!